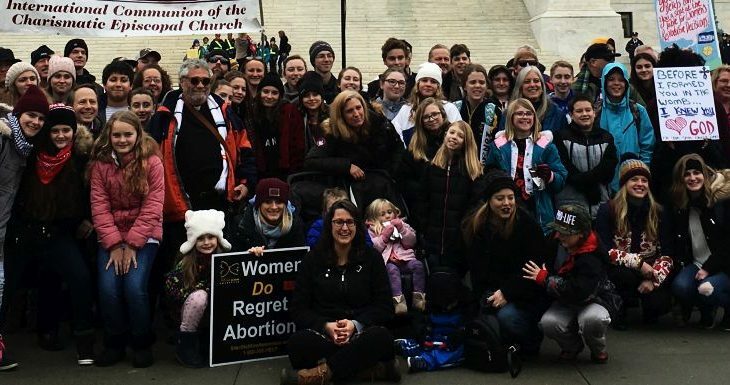 RECAP: Now, let’s go home and END abortion! – All Life is Sacred. 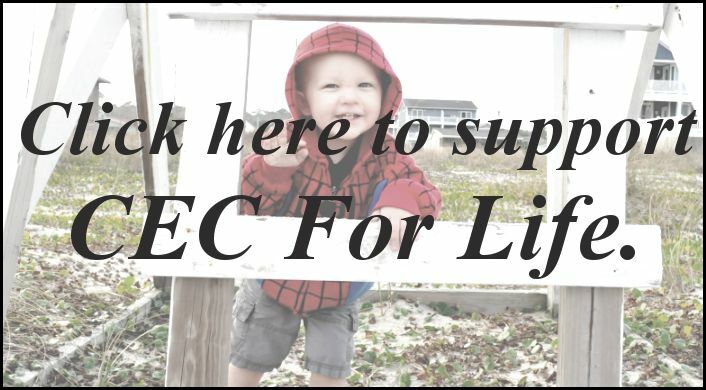 Last weekend, CEC For Life traveled to Washington, DC to join hundreds of thousands of other pro-lifers at the 46th annual March for Life. Besides participating in the March, CEC For Life also took part in the OneVoiceDC Rally, one of our favorite events at the March. Hosted by Ryan and Bethany Bomberger of The Radiance Foundation, OneVoiceDC is a time of powerful prayer and song held the night before the March. It gives our young people a time to engage in worship and prepare their hearts for the events they will all participate in the next day. Each year, at least one of our students also gets the opportunity to pray on stage, with all of their peers standing alongside them. 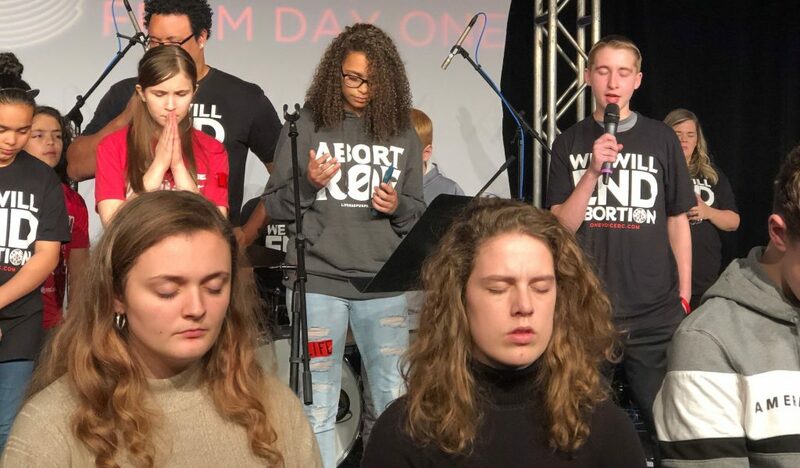 This year, high school student Matthew Klass from Church of the Intercessor (NY) led a prayer for his generation and the healing of our nation from the detriment of abortion. He did a great job! The next day (Friday) we gathered for morning Eucharist with Bishop Chuck Jones and Bishop Gregory Ortiz. Fr. Rob Northwood (Bishop elect) also gave the homily, encouraging each of us to take our passion for life into the streets. An hour or so later, Sarah Howell led dozens of youth through the city to the steps of the Supreme Court. Still a few hours before the actual March began, it was cold and quiet in front of one of the most important symbols of justice in our nation – a perfect time for the Memorial Die-In. As Sarah said, “Die” into the mic, youth laid down all across the sidewalk as others covered them over with red cloth. Still others prayed aloud as their peers stayed put for nearly 20 minutes. We chose the Supreme Court because that is where much of the battle for the sanctity of Life is being waged right now. The Die-In offers a sobering visual with youth lying on the ground covered in red, all representing solidarity with voiceless preborn children who are murdered every day by abortion. But it also offers solemnity, peaceful prayer, and quiet determination. Things that have not been seen much in front of the Supreme Court this past year. After the Die-In, CEC For Life held our annual Liturgy for the Preborn, also in front of the Supreme Court. We heard from pro-life leaders like Rev. Derek McCoy of CURE and Brandi Swindell of Stanton Healthcare. Brandi brought Stanton Mom Jessica and her daughter Paolina to DC this year. Jessica shared her courageous story of choosing life for Paolina amidst the worst of circumstances, including an abusive boyfriend. 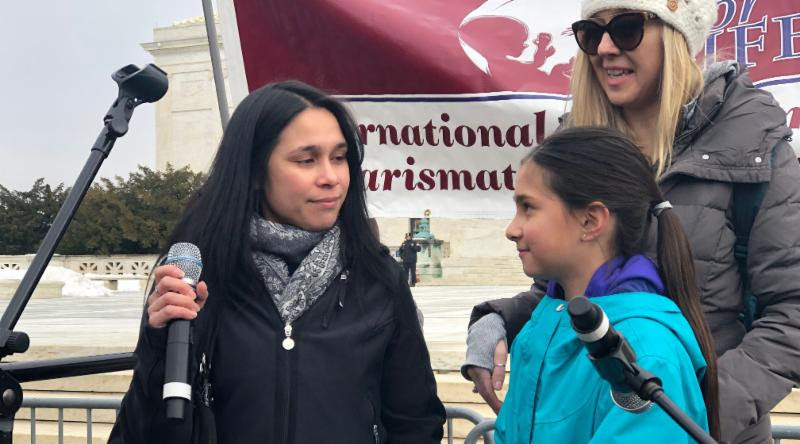 Little Paolina actually wrote a letter to President Trump and Vice President Pence about her mother’s courageous decision. Mom and daughter got to meet VP Pence later that day! We finished the Liturgy and joined up with the March. 650,000 people showed up this year! One of the greatest things about the March for Life is the absolute encouragement of knowing you are not alone. Your local pro-life group may seem small at times, but there are people all over this nation willing to stand for life – we are one spirit! Later that evening, we finished our activities with some pro-life role-play training for the youth, led by Sarah and Hayley Bifulco (NY). Avery Northwood (MD) also led games and fellowship directly after. Events like these give young people a chance to connect with other youth in the CEC, while also learning new ways to discuss life issues with their peers back home. Overall, we had groups from New York, Maryland, Pennsylvania, California, Florida, North Carolina and Alabama. Almost every group brought youth with them, several of which had never attended the March for Life. Our prayer is that the passion and inspiration they felt throughout this trip will be carried home and put into faithful action across their cities. As we told the youth at the Memorial Die-In there on the steps of SCOTUS: Don’t let this be the only pro-life thing you do all year. Go home and do more. Let’s go home and end abortion. Which March for Life activity impacted you the most? The Die-in. Getting to lie down on the cold, wet ground in silent protest really struck home for me. I’m so proud of the amount of people that came out to stand up for life. We are the pro-life generation. I love the actual March for Life. It shows how many people can come together and try to stop a terrible thing. I was impacted most by the OneVoiceDC Rally, where we prayed and heard people speak. I remember someone saying that we will win this battle on our knees…I was reminded how much more powerful and effective our prayers are when we don’t give up. I feel encouraged to continue praying about abortion and I’m now more hopeful that we will see an end to it, hopefully very soon. I’m happy to march for Jesus and His creations. The Liturgy for the Preborn. When you’re praying with a group of people while others yell at you, and you’re not letting them get inside your head, it really makes you realize your faith and know you’re standing for a great cause. What impacted me the most was the feeling of unity that was throughout the whole March. In a world that is so divided it gives me hope that we can all come together despite our differences for a common cause. The Die-In. I’m amazed about how determined the pro-life people are, so much that they will lie down on cold concrete and pray for abortion to be made illegal. Every year at the March For Life, what impacts me the most is seeing the unity between so many people coming together to save the lives of the unborn. The atmosphere is so filled with love and passion to end the murder of innocent. But overall, seeing God work so much is most impacting. I was able to understand that we participate in the March to be a voice for the voiceless children who are aborted. The Die-In. I could really feel the Holy Spirit when we were lying down in front of the most powerful square of buildings in the world, between the capitol and Supreme Court. It was incredible and God filled.